Of all the fat burners on the market today, as most can attest some are better than others and others are pure garbage. Everyone has purchased a fat burner and been less than pleased with the results and if you fall into that category theres good news and its called Clenbuterol. Clenbuterol is one of the best thermogenic drugs we have available and will strip fat off the body with the best of them. However, as with all drugs you need to know how to use it and how to use it safely. What we want to do here is provide you with a means to do so, hopefully allowing you to understand Clenbuterol a little more thereby increasing the benefits you receive. The side-effects listed are the most common and for most the first and last are almost guaranteed. Clenbuterol is a drug that will cause our body temperature to rise and as many know this can be uncomfortable. Because of this increase in body temperature it is very, very important that you keep a satisfactory amount of water in your system; as you should be doing any way. 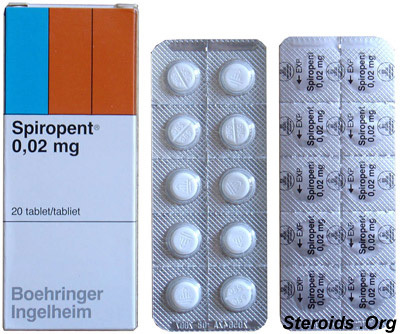 As for the anxiety or shaking, understand Clenbuterol is a stimulant and stimulants have this effect on many people. It is not necessary to split your Clenbuterol dosage up throughout the day; the half-life is around thirty-six hours but many find this more tolerable because of the stimulating effects. If you are someone who is affected by stimulants in-terms of sleep, youd be advised to make sure you are not taking any Clenbuterol to close to the time when you go to bed. As pertaining to headaches and cramping, again, water is key but most do not fall prey to these negative side-effects. If you do fall victim to cramping try taking in some taurine with your daily Clenbuterol use and this should eliminate the problem. Headaches will normally subside as you get used to the drug. There are many methods people use pertaining as to how they administer their Clenbuterol but as with all things in life one way is always best. Perhaps the most common method is taking the drug for two weeks, discontinuing for two weeks and then repeating; so on and so on. While this method will work we do not find it most beneficial. Funny how often times the most popular methods are never the best; just goes to show you how often and easily people get sucked in to what theyve heard. We are firmly aligned with the camp that states use may be continuous for an extended period of time and heres why. With Clenbuterol as with many drugs, our bodies become accustomed; as they become accustomed they fail to work as well. This is why many choose the two weeks on and two week off method. However, if we use patience and methodic planning we can reap the benefits for the entirety of the diet without having periods where we reap no benefit at all.